Kalmar, part of Cargotec, has signed an agreement to acquire Inver Port Services, a business unit of Inver Engineering in Australia, informs Kalmar’s press service. This investment supports Kalmar’s strategic aim to grow in services while strengthening and broadening Kalmar’s existing service capabilities throughout Australia, New Zealand and the Pacific. The acquisition deal will be closed on 29 December 2017. Inver Engineering is a privately-owned company established in Melbourne, Australia in 1981. For its over 35-years history, Inver has become a respected engineering company serving businesses across the ports, rail, manufacturing, petrochemical, oil and gas industries, Australia-wide. 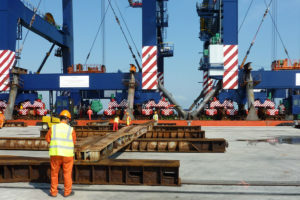 Inver Port Services, being part of Inver Engineering, has a strong track record in providing repairs, maintenance and crane refurbishment projects for major terminal operators across Australia, New Zealand and the Pacific. Inver Port Services sales account for approximately EUR 5 mln and it employs 23 people. He also added that offering Kalmar’s current products and services together with those of Inver Port Services would create great synergies and provide customers with a more comprehensive range of services. “Inver’s strong brand and good reputation among their customers will help us take the next step in executing our services strategy,” highlighted Peter McLean. Kalmar has the market’s widest service network with a total of 1,500 service staff in more than 100 countries. Kalmar’s services portfolio consists of maintenance contracts and technical support, parts, training and crane upgrade projects.